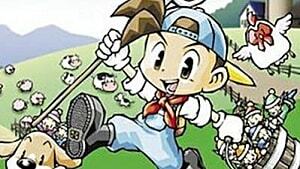 When Harvest Moon: A New Beginning launched, it brought a number of new things to the Harvest Moon series. One of the biggest changes it included was the addition of the Gardening Tour. 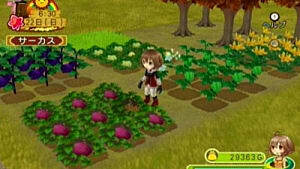 This is a seasonal event that has players customize a Gardening Space in hopes of impressing a set of judges. Because there isn't a whole lot of information out there about the Gardening Tour, it can be kind of confusing to figure out what to do when you want to participate in the event. But don't worry! We've done the digging for you and found some answers. 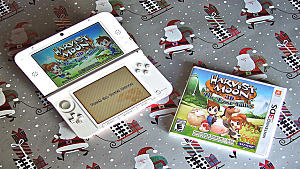 In this Harvest Moon guide, we'll go over some tips and tricks that will help you make a good garden tour and impress the judges with your eye for design. How are Gardening Tours Judged? This is where a lot of new gardeners get hung up. Gardening Tours are not judged based on functionality, but by total point values that are accumulated from the items you include in your garden. To really be successful, you need to forget everything you think about design. A garden in real life might need to be pretty to win a contest, but looks don't matter in this Gardening Tour. Only points do. 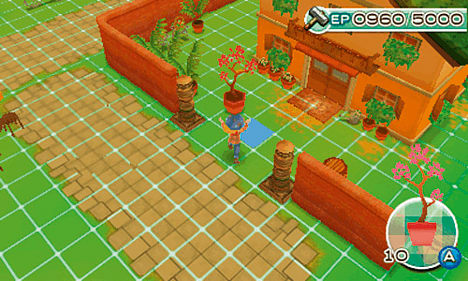 Each item has a certain amount of points that affect your total point score, so you want to get as many in your garden as you can. But you also need to pay attention to the theme of the item, as that also affects the total points you'll accumulate. 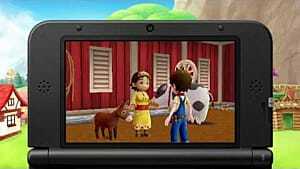 If you look at the image below, you will notice a number of the items are benches. While they all might be the same type of items, they are not all the same theme -- and even though you're shooting to include as many items as possible, sticking to a theme will increase that all-important total point value. 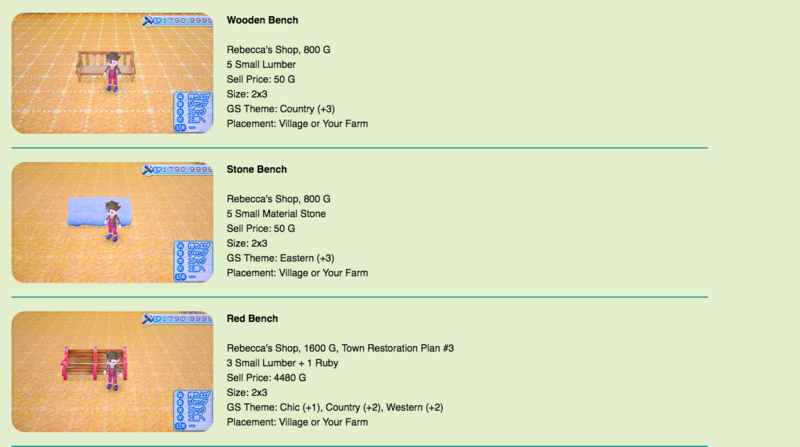 If you were to mix the stone and wooden benches on the same tour, for example, your score wouldn't be nearly as good as it would if you had used either two wooden benches or a wooden bench and a red bench, since the red bench is the same theme as the wooden bench and thus adds some points. 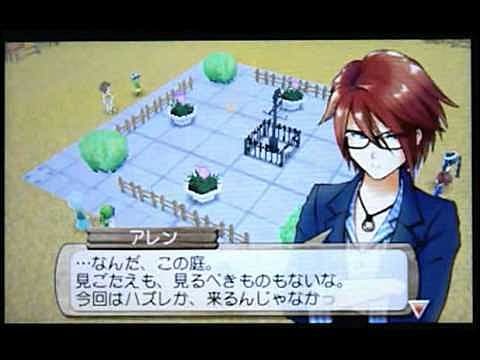 This is also the case when you mix different types of objects together, like a bench and a fence. You'll get more points for mixing different types of objects within the same theme -- if you use too many items with too many different themes, the judges will not be happy. If you want to rack up a good amount of points with fairly little work, you can take advantage of the Weather Vane trick to get a leg up in the Gardening Tour. This trick requires 36 weather vanes. To unlock these vanes, you'll need to gather 100 eggs. A quick way to do this is to have multiple chickens and feed them treats daily. Treats allow them to lay multiple eggs per day until you've got as many as you need. Once you have all 36 weather vanes, you literally just place them all in your garden. For some reason or another, this will net you 1020 points in your Gardening Tour. For any item that you want to include in your Gardening Tour, you'll need to make sure that you can actually place it in your garden wherever it's located. Some items can't be placed in certain areas. 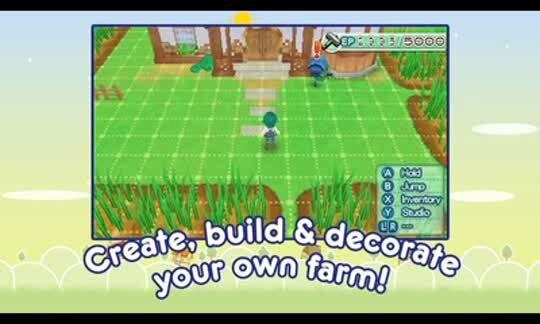 For example, the watering spot can't be placed in the town, but it can be placed on your farm. So you'd want to set up a Tour on your farm if you want to take advantage of specific items like the watering spot. 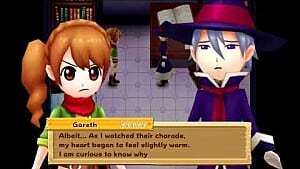 The same is true vice versa as well, with specific items that can only be used in the town. 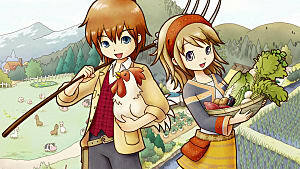 That wraps up this guide to the Gardening Tour in Harvest Moon. Did this help you win the competition? What layouts helped you impress the judges? Let me know down in the comments! 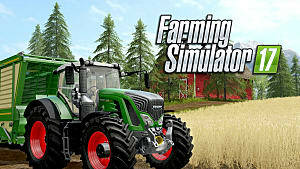 Is Farming Simulator '17 as Fun as Stardew Valley or Harvest Moon? 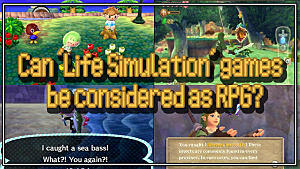 Are "Life Sim" Games RPGs, or Its Own Genre Entirely? 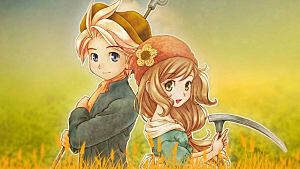 Why Am I Addicted to Harvest Moon?